I'm not the biggest Audrey Hepburn fan in the world, but in Roman Holiday she's an absolute darling (especially before she gets a haircut!). 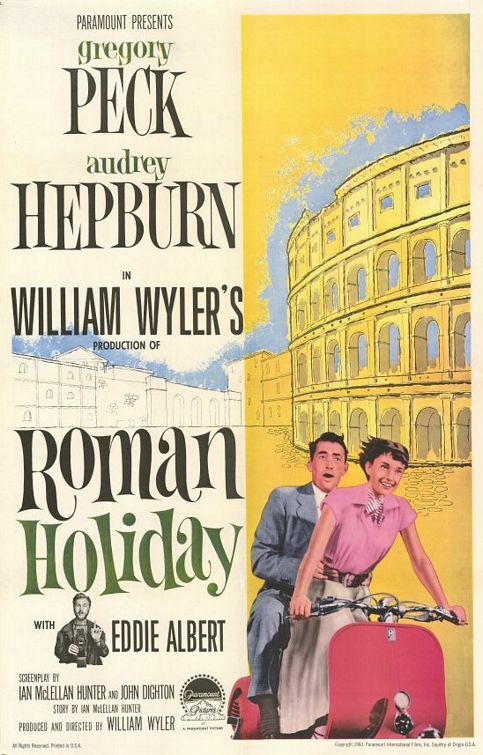 From a time when "romantic comedy" didn't necessarily mean "bad movie" this is one of the best. The plot is really simple. Princess runs away to try and live like a normal person. She meets a guy and they have some fun. It's not really a story-driven movie as you can hear. Some of the 'comedy' in the movie may feel a bit aged and old, but the rest holds up pretty well. If you liked Breakfast at Tiffany's you'll definitely like this one as well.